We understand how hard it is to maintain a healthy lifestyle and regular fitness while balancing family or career commitments. This is why we will match you with certified and experienced personal trainers available to help you achieve better health and fitness at home. Our Singapore personal trainers have extensive experience in fitness, exercise and nutrition and will individually tailor a home fitness program to suit your health and fitness goals. Whether you want to lose weight, get toned, bulk up, become fitter or transform your diet with good nutrition, our trainers offer all of these services and more. 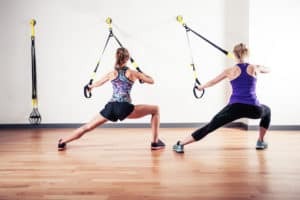 Because every client is different our Singapore personal trainers like to offer a wide selection of exercise alternatives when it comes to home fitness training. Depending on whether you have a home gym or how limited the amount of space is in your home or apartment, some forms of exercise are more practical than others. For example, body weight training is often a good all-round form of personal training as most exercises will use more than one group of muscles and joints. It allows you to use your own body weight, making the training very functional, and you can move between exercises quickly so the training remains effective. Other benefits of body weight training are it can be undertaken in an area with minimal space, so you don’t require a gym. Also, exercises can be easily modified based on your level of strength and personal fitness. A home personal trainer is very cost-effective as you are not paying for the cost of a gym and you don’t have to travel as they will come to you. Plus, the exercises that they teach you can be used the rest of your life to maintain your personal health and fitness. Having to drive to a gym or fitness class is often inconvenient if you lead a busy lifestyle, which is why being matched with a Singapore home personal trainer is a smart alternative. Our home personal trainers will come to you and bring any equipment necessary to support your customised training program. It’s often hard to get motivated to work out if you’ve had a busy day at work or looking after your children. 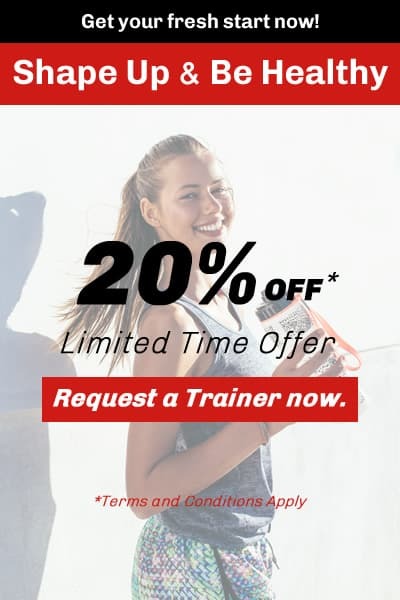 When you invest in a Singapore home personal trainer they will help you stay motivated by visiting you regularly and tailoring a fitness program that you enjoy and more efficiently reaches your health and fitness goals. When you train yourself it’s often difficult to get the results you are trying to achieve efficiently, such as losing weight, toning up or targeting problem areas. With a home personal trainer, they will ensure you are performing the right exercises to reach your health and fitness goals quickly and efficiently. They will also monitor your form so you avoid injuries. Contact us to arrange for a Singapore home personal trainer to help you achieve better health and fitness today! Our personal trainers offer affordable rates and customised programs.